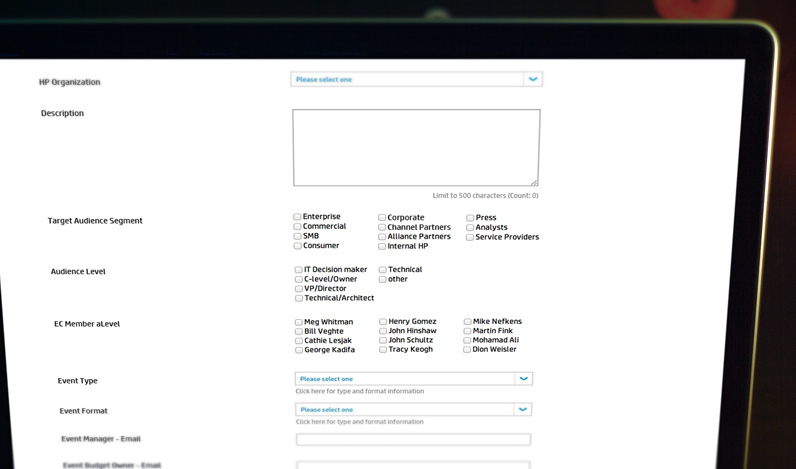 Design Reactor partnered with the HP's events and marketing teams to create a customer experience journey aligned to their event marketing team's business objectives for their ongoing, global events calendar. HP, a multi-national corporation known for their IT products, services and enterprise solutions, hosts approximately 3,200 events annually on a global scale. 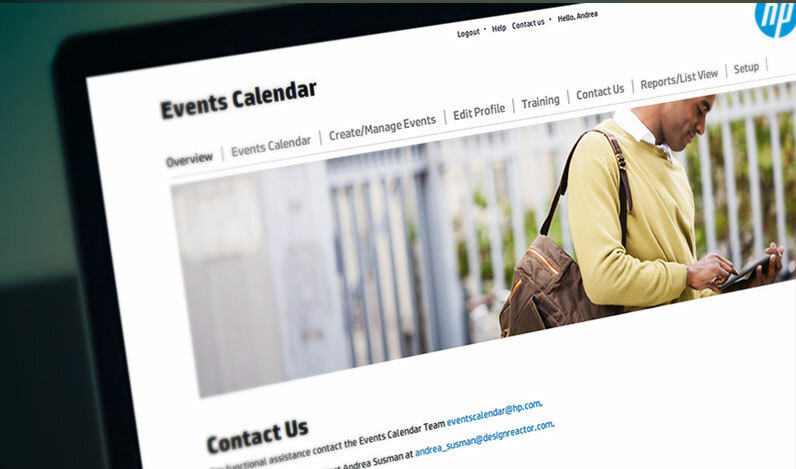 In order to effectively create, manage, and share event information across the globe. The importance for providing users visibility into all HP events and tradeshows was critical in creating a holistic customer experience journey across all of HP's event activations. 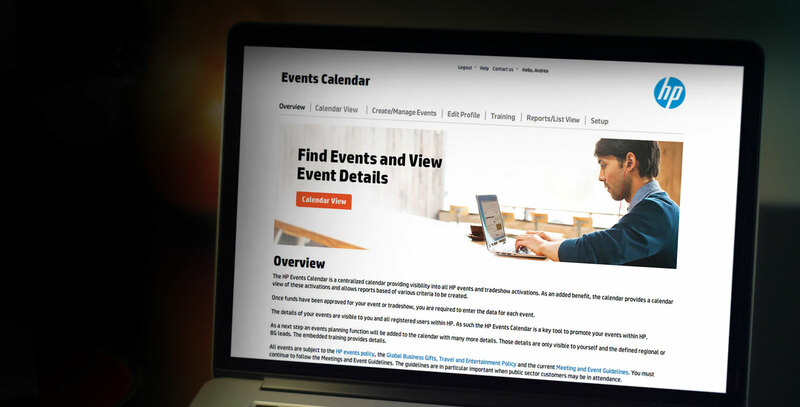 Our solution was the HP Global Events Calendar, which served as a centralized calendar for all 5,000 (and counting) events that are consistently being planned, updated, and executed across all HP departments. 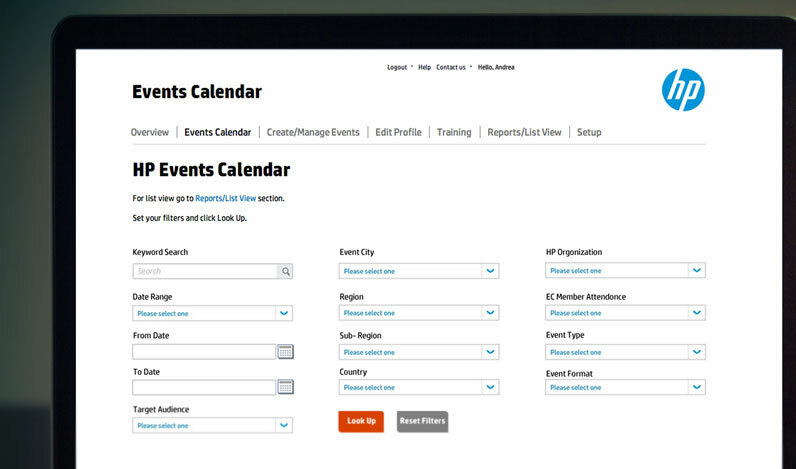 The Global Events Calendar gives ultimate power to event managers to create new, and manage existing events inclusive of low-level event details such as location (time and place), Executive Member attendance, event type and format, associated business groups, quarterly budget planning, as well as post-event Net Promoter Score analytics. 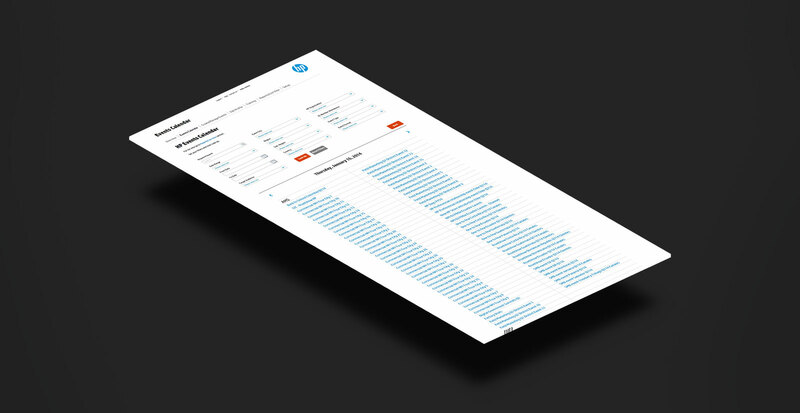 Users are able to access training resource materials, perform sophisticated search queries to pinpoint specific events, view event information and run advanced analytics reports for any sub-set of HP's global events. 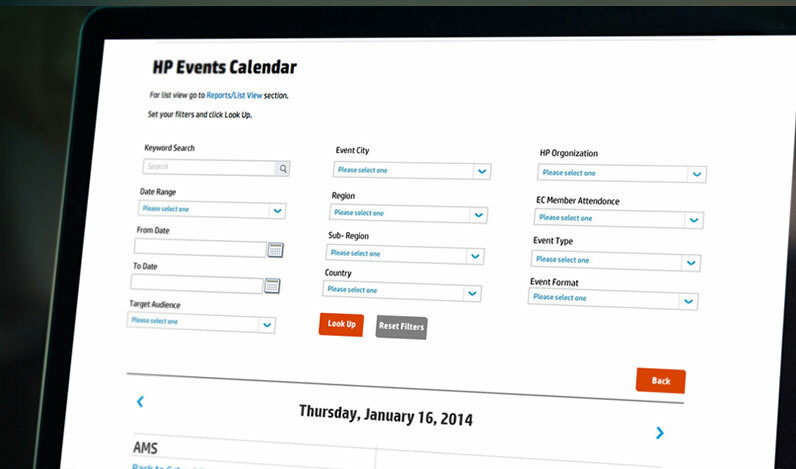 The methodology behind the Global Events Calendar was to provide an immersive user experience across all types of users fostering agile and scalable opportunities for HP's Global Events team.